This was not a difficult bake at all. It is very easy and the results were very satisfactory. 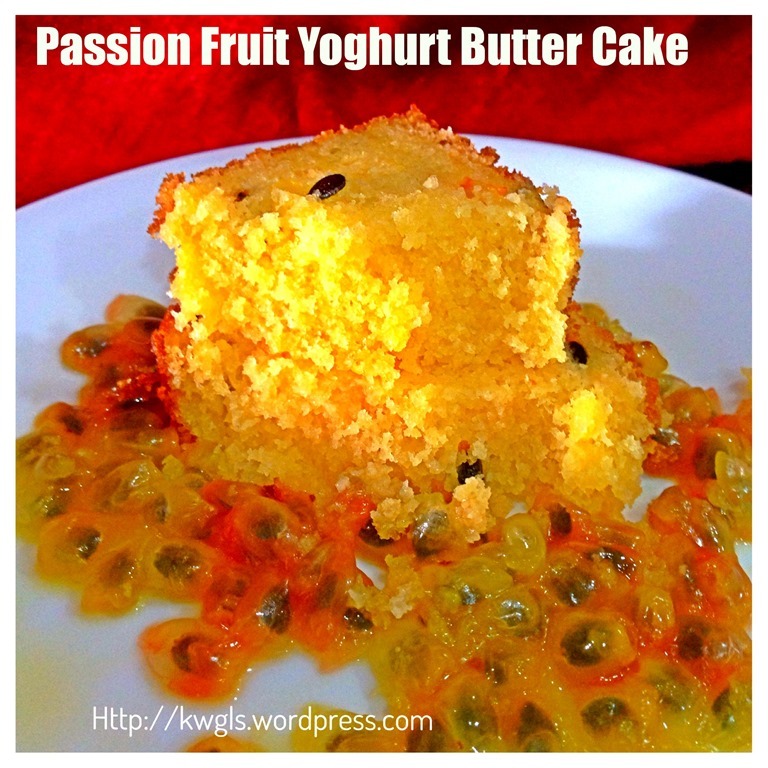 I was introduced to passion fruits only very recently, possibly less than 5 years. I remembered the first time I had my passion fruits, it was very sour, so sour that sent a shiver down my body. Since then, I seldom buy passion fruits. 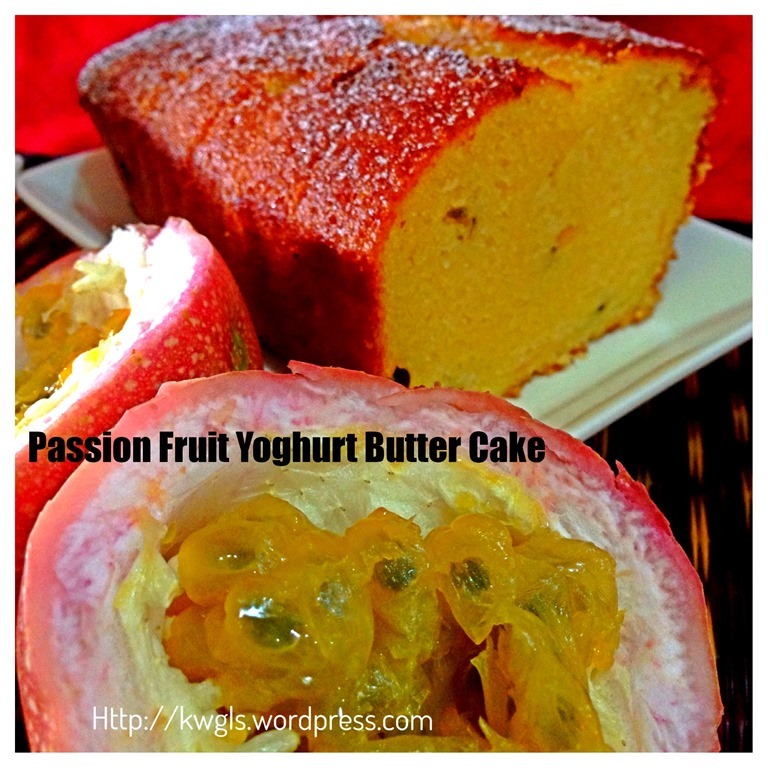 It is not until last year that my girl told me that she wanted to try passion fruits. Sensing that since the fruits were very sour, it was very likely that she will like it. Therefore, I have to mix it with something sweet to let her try the flavour and texture. I am thinking of adding the fruits to ice creams, making into fruit juices or mixing with yoghurt. Subsequently, I have decided to mix with plain yoghurt and that was the right choice. 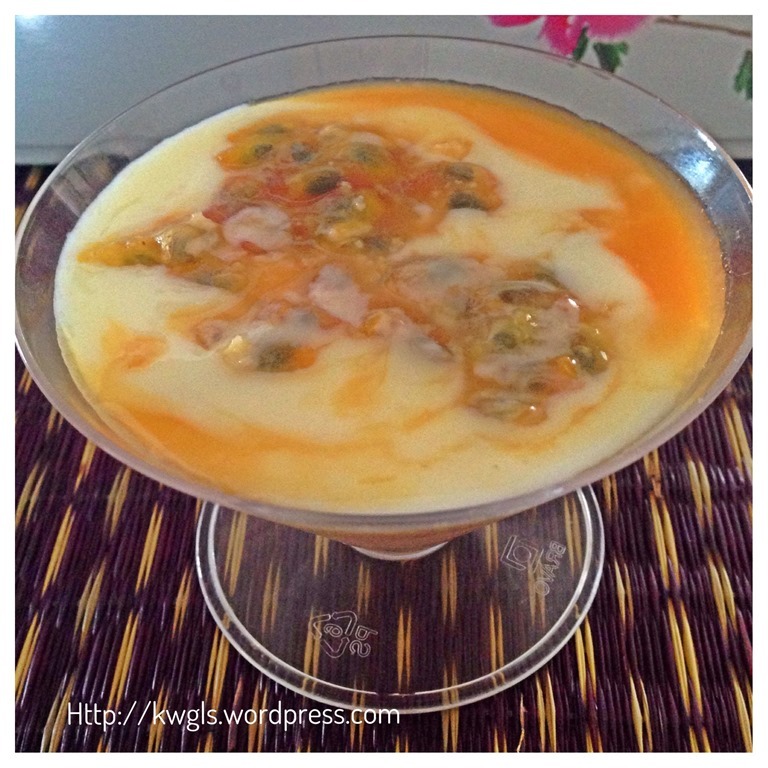 The sour passion fruits blends extremely well with the sweet yoghurt and since then, passion fruits yoghurt is always my top choice of dessert.. or when I am craving for something cold and refreshing. 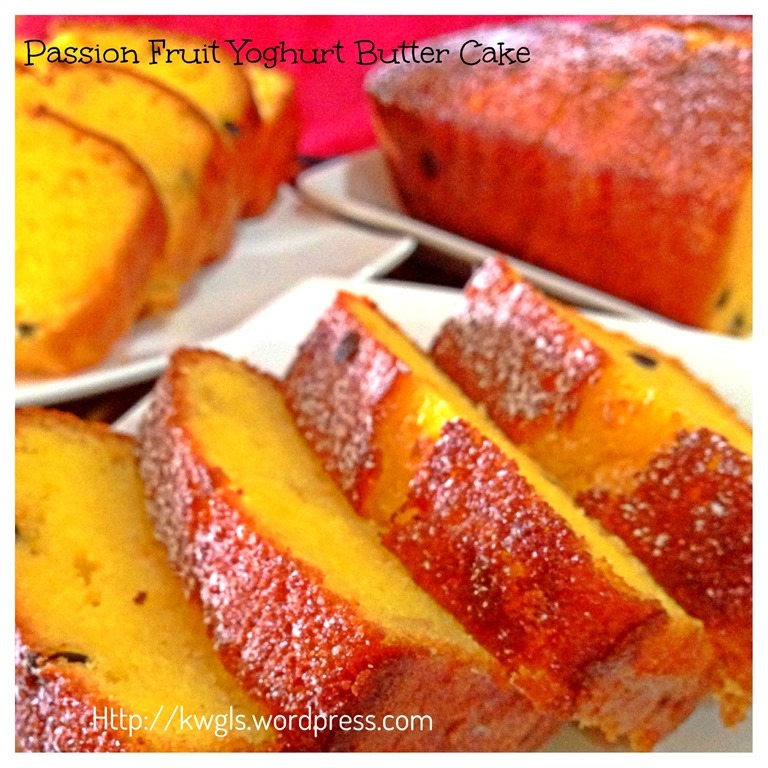 Using yoghurt in baking cakes is nothing new and it always enhance the textures of the cakes. 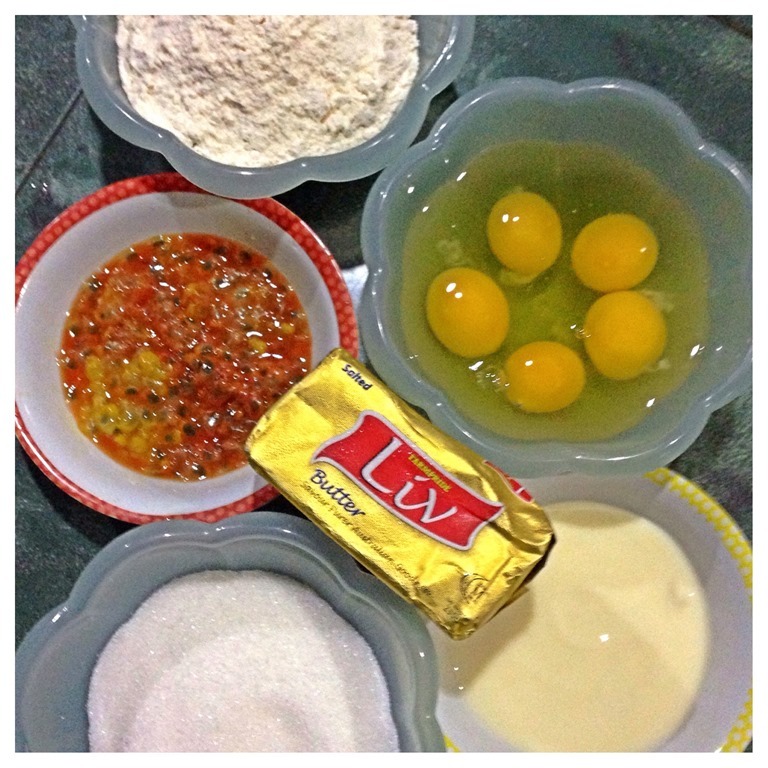 Prior to making this cake, I am unsure what will happen to the aroma of the cake since both passion fruits and butter have very strong and nice fragrance. 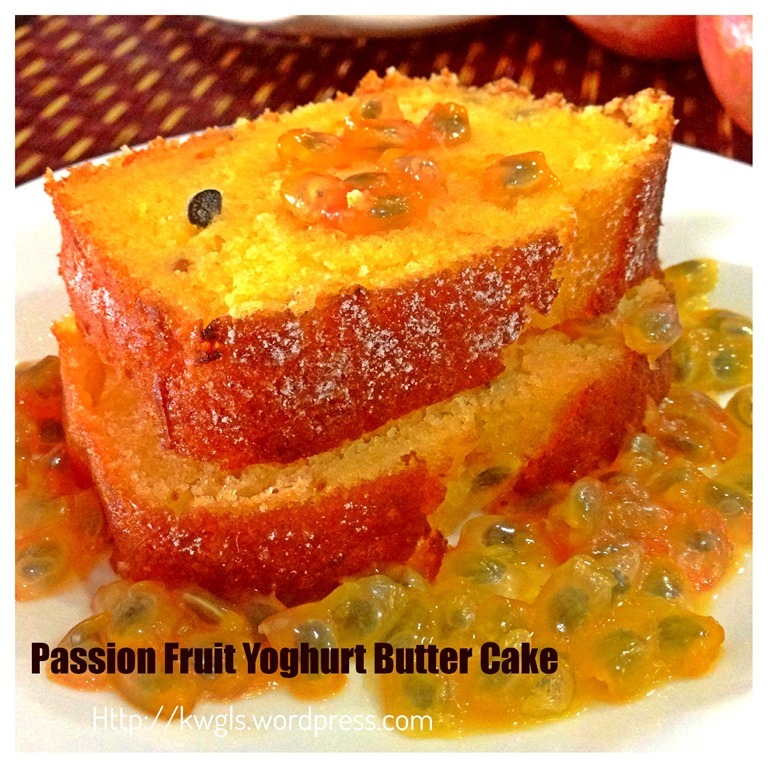 The conclusion is: Passion fruits fragrance is stronger than the butter aroma but the aftertaste of the cake remained to be buttery in the mouth.. The cake was moist and in this piece of sweet butter cake, there are tinges of sourness that make the cake very refreshing.. 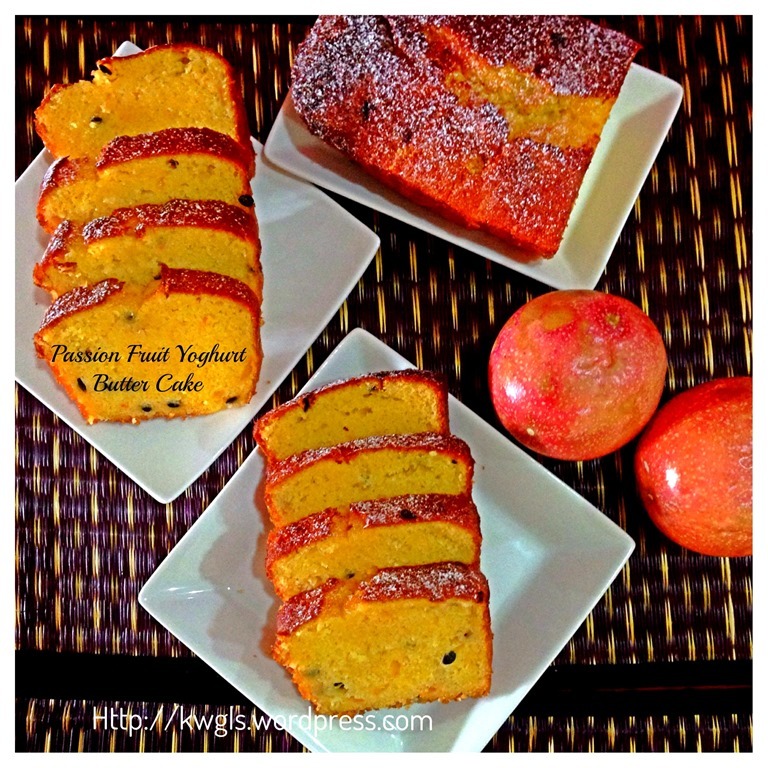 It was really worth the try..and I am extremely please to share this recipe without any hesitation to those who wanted to have a change from the traditional butter cake. Pre-heat the oven to 180 degree Celsius and lightly greased a 8” x 8” baking tin. You can also line with parchment paper. In an egg beater machine, place sugar and butter. Beat until the butter are light and pale. Add in eggs one by one, use the machine to “beat” at the lowest speed (note: it is not actually beat, the machine is performing the role of mixing the ingredients). 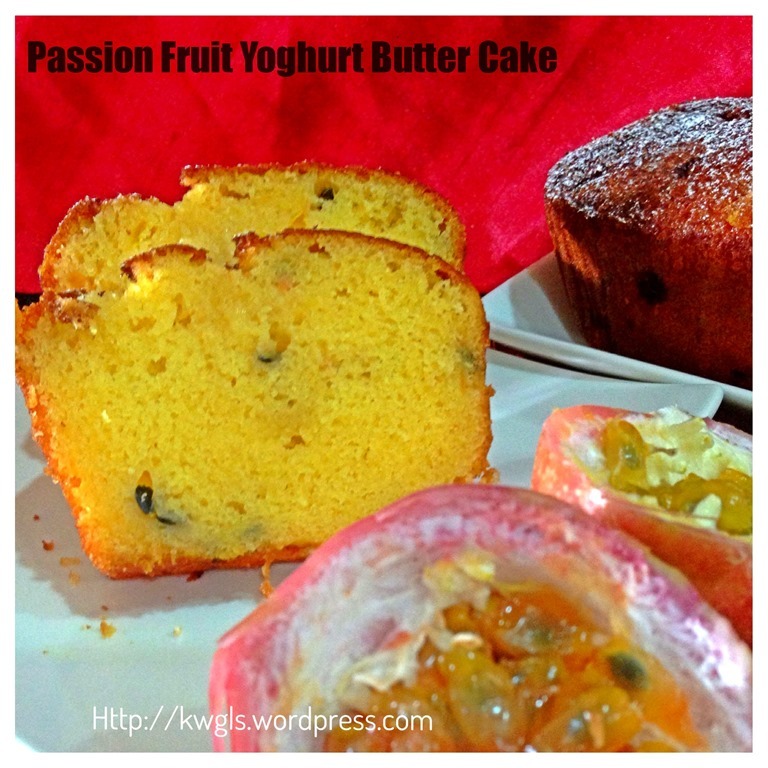 Add in passion fruits and followed by yoghurt. Sift in 1/3 of the self raising flour and use the machine to mix well at the lowest speed. Continue with the remaining 2/3 until all the flour are mixed. 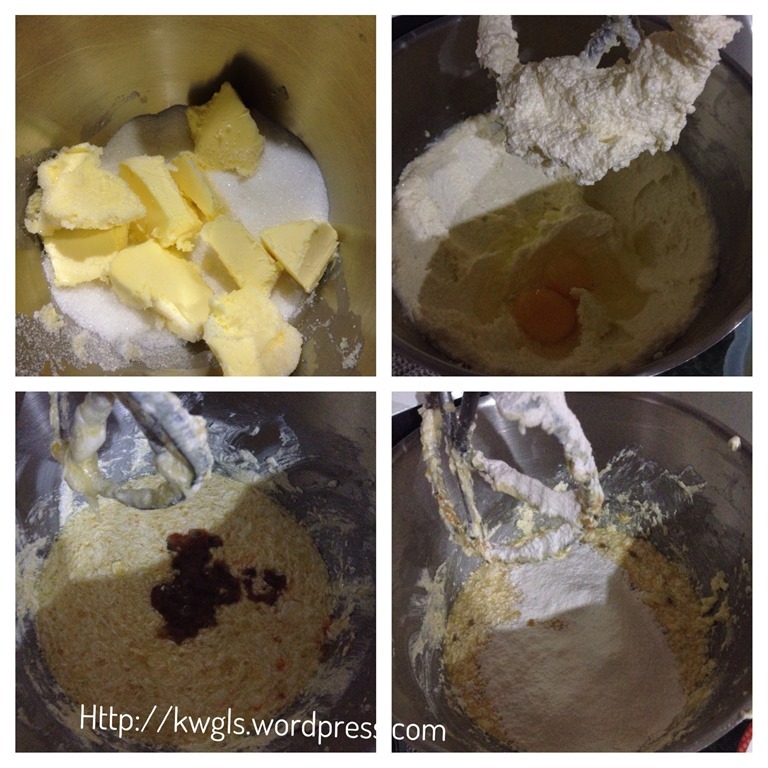 Take out the whisking bowl and use a spatula to scrap the sides and bottom and ensure all flours are well mixed. 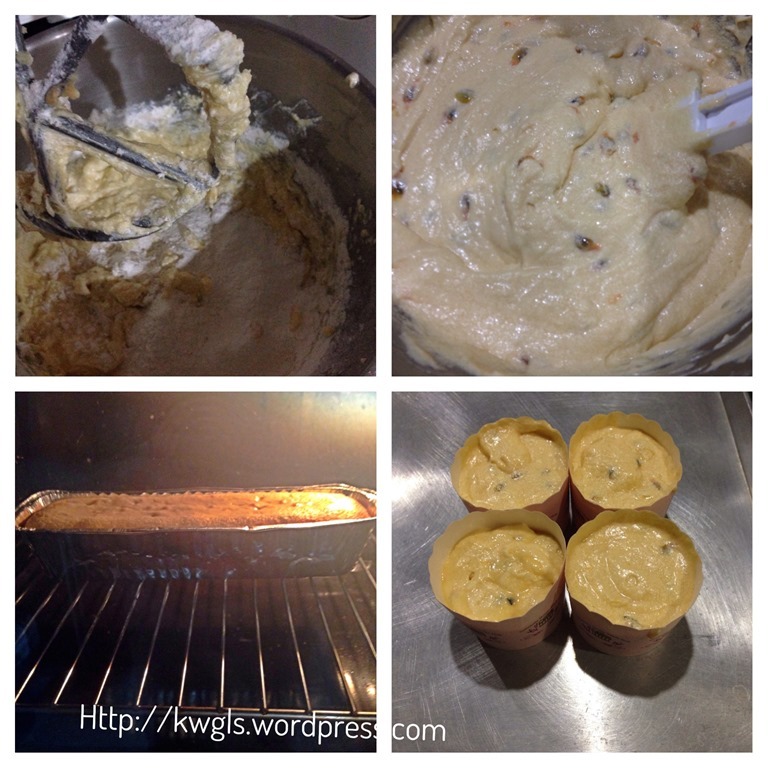 Spoon the batter in the lightly greased baking tin (8” x 8”). Level and bake at 180 degree Celsius for the first 20 minutes. Turn the temperature down to 165 degrees Celsius and continue to bake for another 20 minutes or until a skewer inserted comes out clean. If you want to use the cup cakes cup, bake at 180 degree Celsius for 15-20 minutes of until a skewer comes out clean. For purposes of this illustration, I have used a long loaf tin which is totally not necessary. My timing for this loaf is about 30 minutes. This is a simple bake yet I am really pleased with my results. 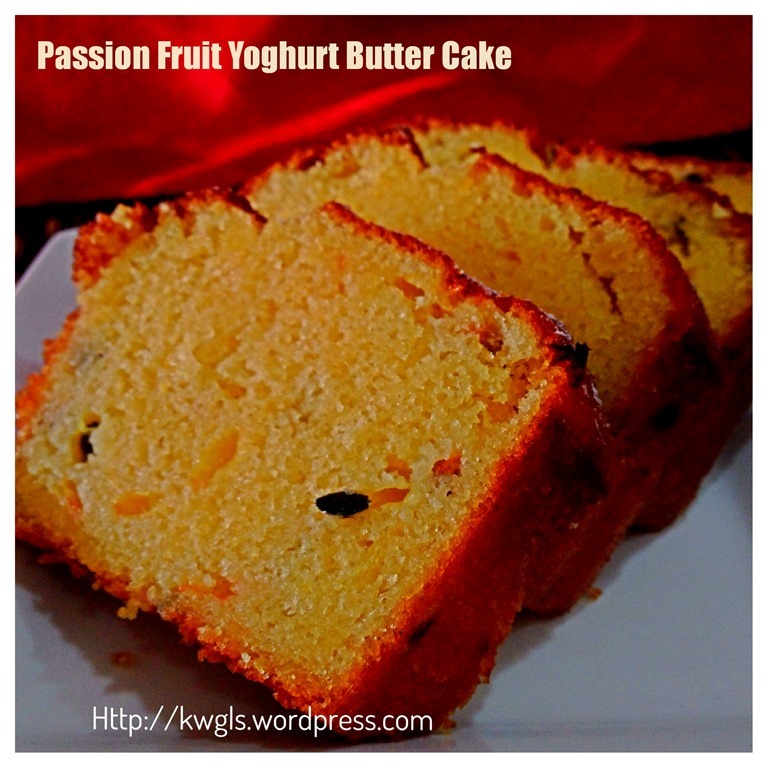 What make it unique is the passion fruit aroma of the cake. In addition, it is sweet and slightly sour. It is refreshing and moist. It is definitely worth a try and if you are looking for a change. Hope you like the recipe today and have a nice day. Cheers. 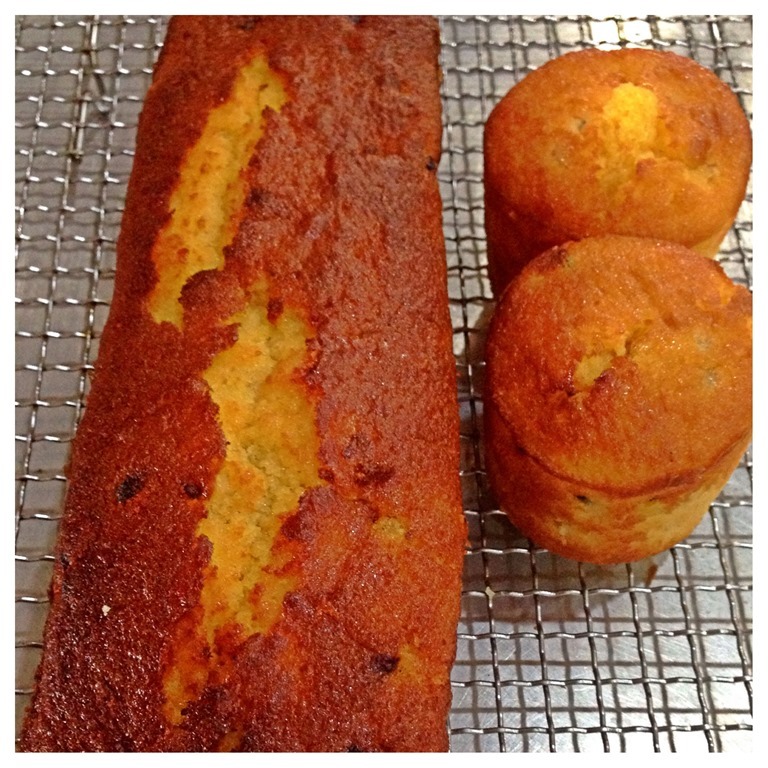 This entry was posted in Cakes and cookies, Food Preparation Series and tagged 8, Guaishushu, one number baking ratio, Passion Fruit Yoghurt Butter Cake, postaday. Bookmark the permalink. OMG my saliva’s dripping. Literally mouth watering. Ugh. Delicioso! I am absolutely going to make this. I would be a fool not to – they look so good!!!! Pinned.